Drizzle steak with oil and season. Heat a griddle pan or frying pan until hot and then stir –fry steak for 3 minutes or until cooked. 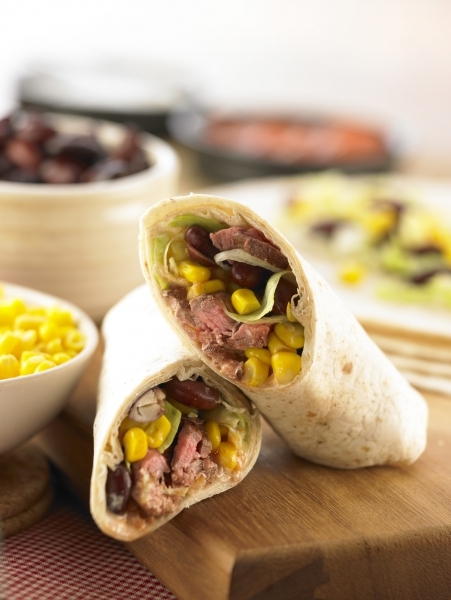 Scatter each wrap with lettuce, sweetcorn and kidney beans. Add steak and dollops of salsa and soured cream. Fold and roll. Slice diagonally in half if required. Serve immediately.